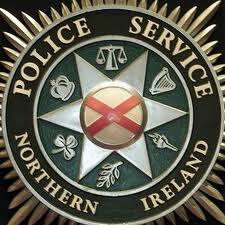 POLICE in north Belfast are investigating a complaint about the activities of a man towards a child. Officers at Tennent Street PSNI station say they received a report on Thursday evening from a concerned parent that their child and a number of friends had been spoken to by a male in a white van in the mid-Shankill area. “The child did not reply to the man and then walked home before telling their parents who then informed ourselves,” said a spokesman. “The children were not hurt and are well. Police at Tennent Street are investigating this incident, but at this stage there is nothing clear to suggest that there is anything suspicious involved. “In any case, if anybody has any information about this incident, we would encourage you to call police at Tennent Street on the “101” non-emergency number. “Without alarming local people unnecessarily, this obviously reinforces the message that parents need to be aware of where their children are at all times, and that they need to teach their children the importance of not talking to strangers. “Children need to know to tell their parents if this happens, and parents in turn should the let Police know, as was done well in this case. “Schools are starting up again over the next week and local NPT officers will be out and about on patrol around schools. “We will also be going into schools to work with teachers and pupils and we will continue to reinforce the message about keeping our young people safe,” he added.